Hyacinthus, the young son of the King of Sparta, beautiful like the very gods of Mount Olympus, was beloved of Apollo, shooter of arrows. The god often came down to the shores of the Eurotas River, leaving his shrine in Delphi unattended, to spend time with his young friend and delight in boyish pleasures. Tired of his music and his long bow, Apollo found relief in rustic pastimes. He would take Hyacinthus hunting through the woods and glades on the mountain sides, or they would practice gymnastics, a skill which Hyacinthus then taught to his friends, and for which later the Spartans would become renowned. The simple life awoke Apollo's appetites, and made the curly-haired boy seem more charming than ever. Apollo gave him all his love, forgetting he was a mere mortal. Once, in the heat of a summer afternoon, the lovers stripped naked, sleeked themselves with olive oil, and tried their hand at discus throw, each vying to outdo the other. The bronze discus flew higher and higher. Finally, the powerful god gathered all his strength, and spun and wheeled and let fly the shiny disk which rose swift as a bird, cutting the clouds in two. Then, glittering like a star, it began to tumble down. Hyacinthus ran to meet it. He was hurrying to take his turn, to prove to Apollo that he, though young, was no less able than the god at this sport. The discus landed, but having fallen from such a great height it bounced and violently struck Hyacinthus in the head. He let out a groan and crumpled to the ground. The blood spurted thickly from his wound, coloring crimson the black hair of the handsome youth. Horrified, Apollo raced over. He bent over his friend, raised him up, rested the boy's head on his knees, trying desperately to staunch the blood flowing from the wound. But it was all in vain. Hyacinthus grew paler and paler. His eyes, always so clear, lost their gleam and his head rolled to one side, just like a flower of the field wilting under the pitiless rays of the noonday sun. Heartbroken, Apollo cried out: "Death has taken you in his claws, beloved friend! Woe, for by my own hand you have died. And yet its crime was meeting yours at play. Was that a crime? Or was my love to blame - the guilt that follows love that loves too much? Oh, if only I could pay for my deed by joining you in your journey to the cheerless realms of the dead. Oh, why am I cursed to live forever? Why can't I follow you?" Apollo held his dying friend close to his breast, and his tears fell in a stream onto the boy's bloody hair. Hyacinthus died, and his soul flew to the kingdom of Hades. The god bent close to the dead boy's ear, and softly whispered: "In my heart you will live forever, beautiful Hyacinthus. May your memory live always among men as well." And lo, at a word from Apollo, a fragrant red flower rose from Hyacinthus's blood. We call it hyacinth, and on its petals you can still read the letters "Ay," the sigh of pain that rose from Apollo's breast. And the memory of Hyacinthus lived on among the gentlemen of Sparta, who gave honors to their son, and celebrated him for three days in mid-summer at the Hyakinthaea festival. The first day they would mourn his death, and the last two they would celebrate his resurrection. These Greek myths are based quite closely on ancient fragments, materials until now passed over by modern mythographers. The sources range from poets to historians to playwrights and early Christian polemicists. Thus the form of the stories should be seen as a late one, incorporating in many cases Roman sensibilities. Of course there has never been any one "true" version of any of these stories, as they were told and retold over a span of at least two thousand years across a region ranging across three continents, from the Black Sea to the shores of North Africa, an area now occupied by such countries as Bulgaria, Greece, Turkey, Egypt, Italy and others. 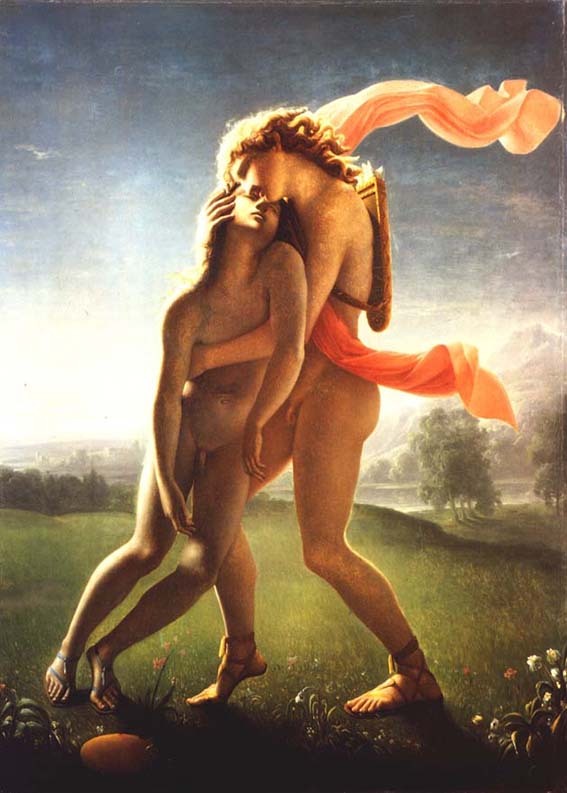 Nonetheless, the myths collectively reflect a world view in which male love was wholly compatible with living life in a sacred way, a path to heroism and divinity.